Press Sample It's Monday again and I finally have a post ready for you guys! In between going back to school and working full time, I haven't had a ton of time to talk polish/nail art with you guys but I'm def trying. 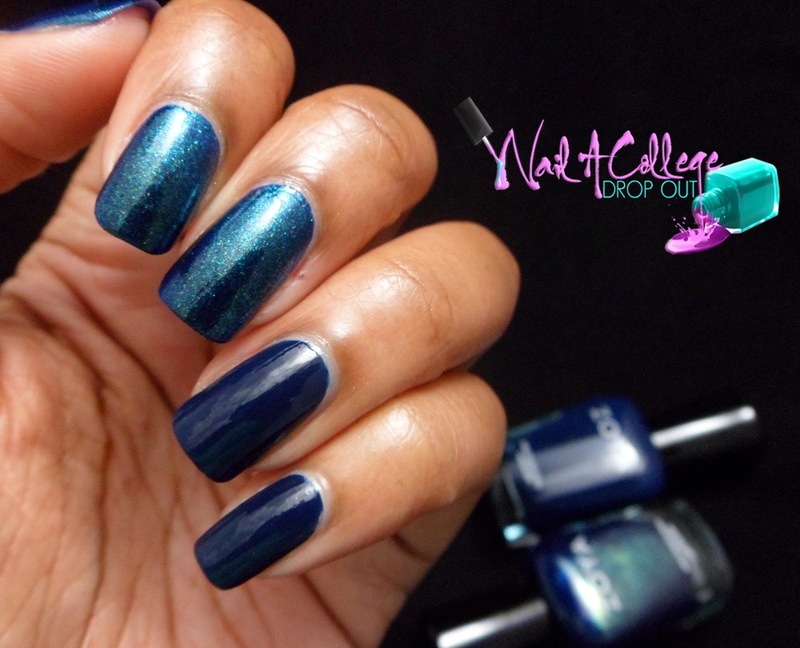 Anyway today's swatch and review about for Zoya Entice (créme) & Ignite (shimmer) Collections is probably the largest swatch and review I've ever done in one post here on Nail A College Drop Out so let's get to it! 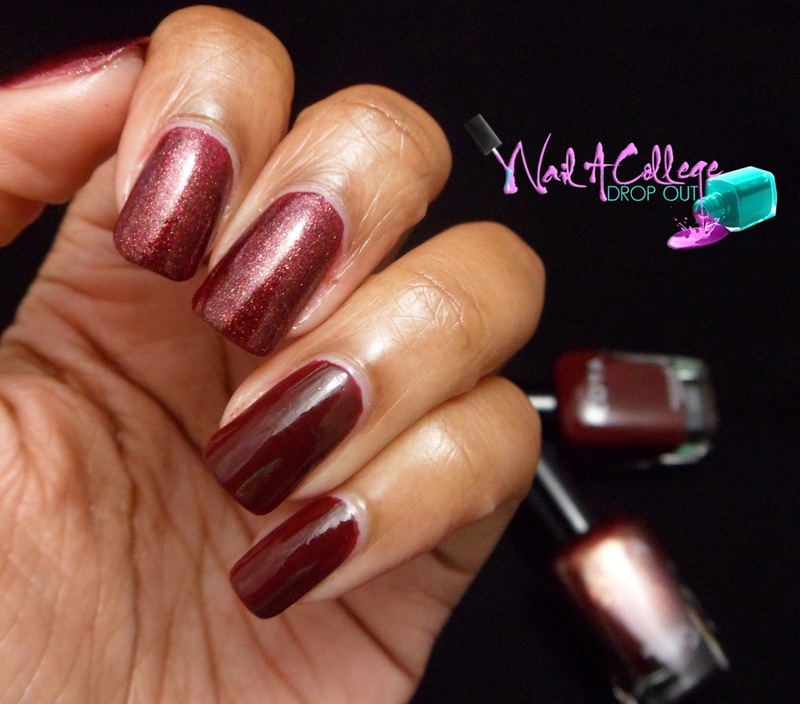 Claire is a very deep brick red créme that becomes fully opaque in two smooth & easy coats. The cherry on top you wonder? When I removed of these shades I didn't get any stains on my nail beds or cuticles. That's definitely a win for any red polish! Teigen is a describe by Zoya as a violet plum with copper shimmer, but to me, it's a deep raspberry shade with copper shimmer. Either way it goes, Teigen is fully opaque in 2 smooth coats. Veronica is a berry tone that I wasn't too thrilled with color-wise, but it does have an impressive formula. Being a two coat, full coverage créme isn't anything to scoff at honey. Remy. Guuurrl let me tell you about Remy. Its a 1 coater! Yes a one coater! You need this in your collection. I can promise you that. In real life one coat is perfect but under a camera lens and bright lights you can see slight VNL (visible nail line), so for blogging purposes, swatched above is two coats. Ryan is an indigo créme that, unlike its shimmer counterpart, becomes opaque in two coats. I think this would be great for some nautical themed nail art. Before I even get into the details on these lacquers, I have to say that they are my fav combination. I love me some purple nail polish! Sansa an eggplant with gold shimmer. Much like the rest of the E&I lacquers, it is opaque in in two coats. Margo looks kind of meh on its on but I def pops next to Sansa! This is the only shade that required three coats. Yuna is gray with copper and gold shimmer. Reaches full opacity in two coats. Genevieve is an elephant gray créme with a streaky first coat, but evens out just fine after the second. 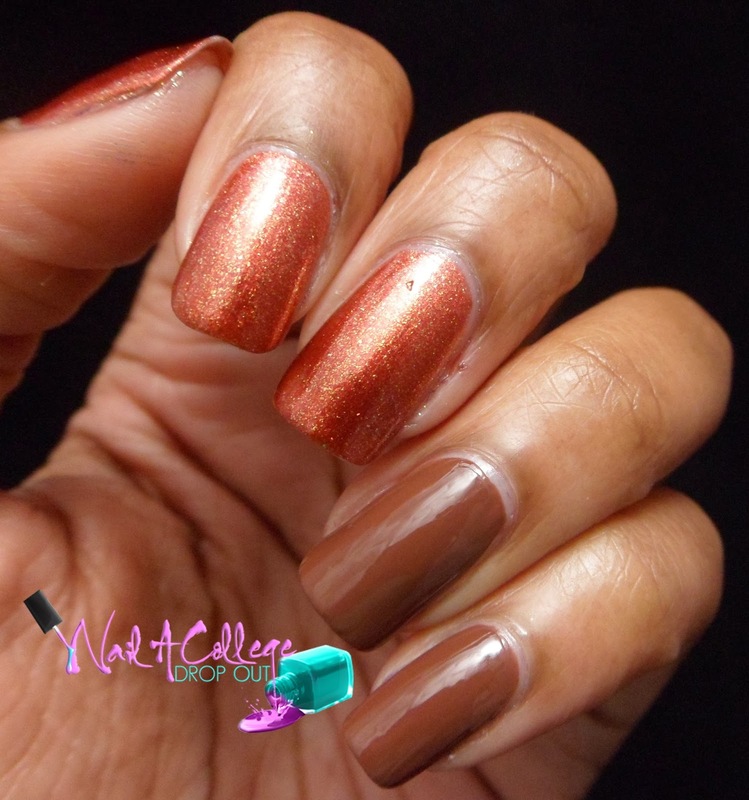 Autumn is a brassy orange with gold shimmer. It becomes fully opaque in two coats. Nyssa is described as a milk chocolate brown that becomes fully opaque in two coats. 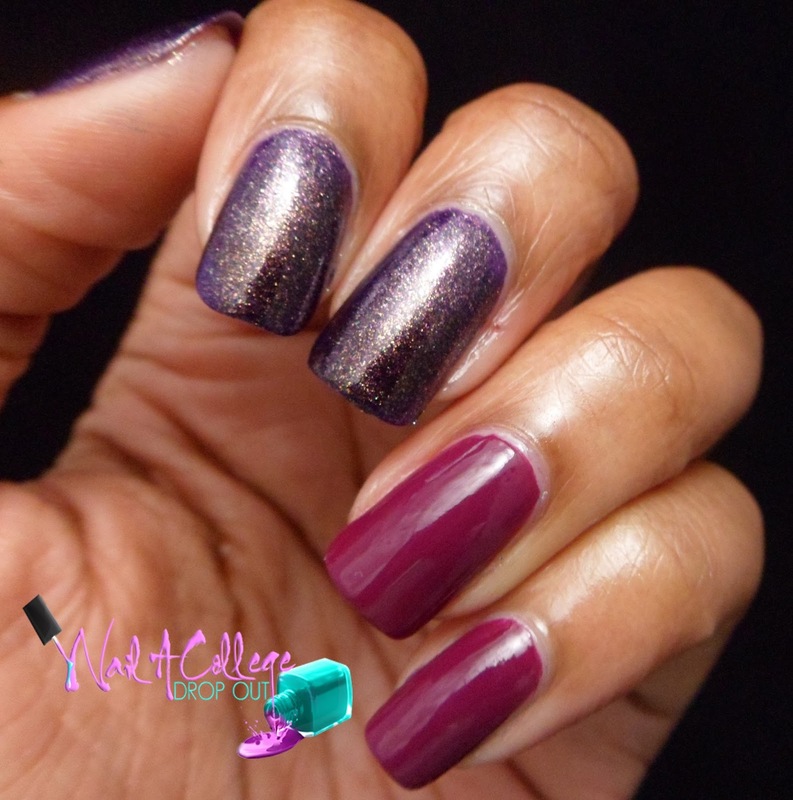 Overall the Entice & Ignite collections are full coverage, and with the exception of Margo & Remy, all the shades obtain full coverage in two smooth coats. 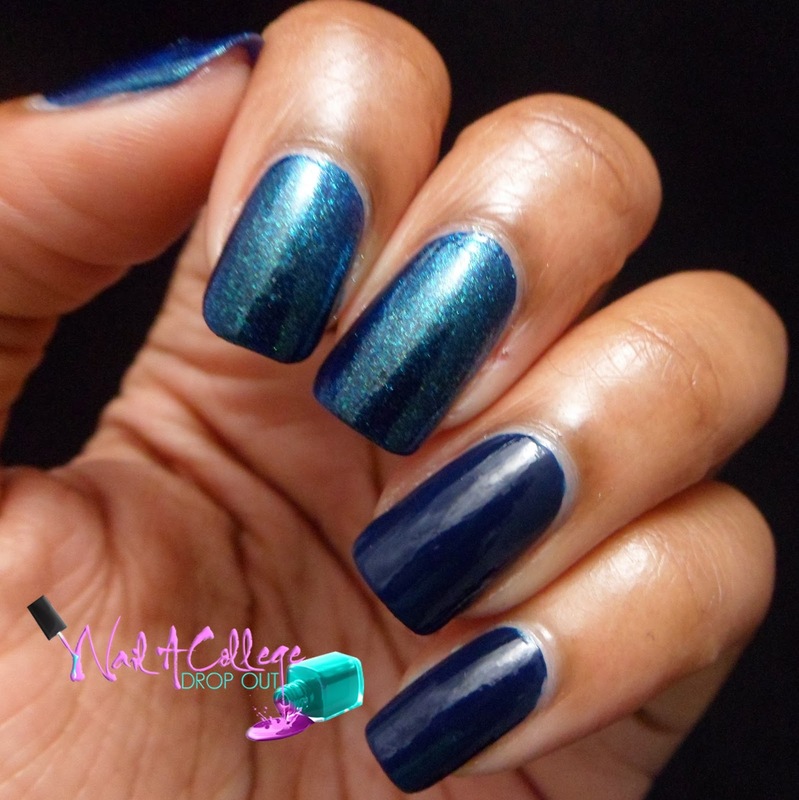 If you have to choose only two lacquers from the ones posted today--you know, if you were trapped in some sad parallel universe that only allows you to choose two bottles of nail polish out of a twelve piece set--you should definitely make it Remy and Sansa. Remy, Sansa, and every other lacquer shown above retails for $9 each on Zoya.com. What's your favorite combination of créme and shimmer? Let's talk polish in the comments! I loved Remy, but it stained the HELL out of my cuticles and skin! Win a $25 Llarowe Gift Card!